Not all dining rooms add a sideboard but we can mostly see one on one side of the wall or in a corner. Sideboards are usually used in serving food or in displaying silvers or jars or others. It is also used as storage for dinner wares and other things that are used for the dining area. These also come in different designs. Some are even unique while others are very decorative with complex details. Today, we will show you a sideboard with a contemporary design that is both beautiful and impressive. Goula Figuera and Factil collaborated to make the Loop. They stated, “one of our obsessions when we designing the sideboard was to avoid traditional handles, which would interrupt the continuity of the shape. we avoided it by letting the last slat of each shutter free, so they would act as the handles. so, when Loop is closed, you have to guess where it opens.” And this is the design they used for the Loop. Come take a look! 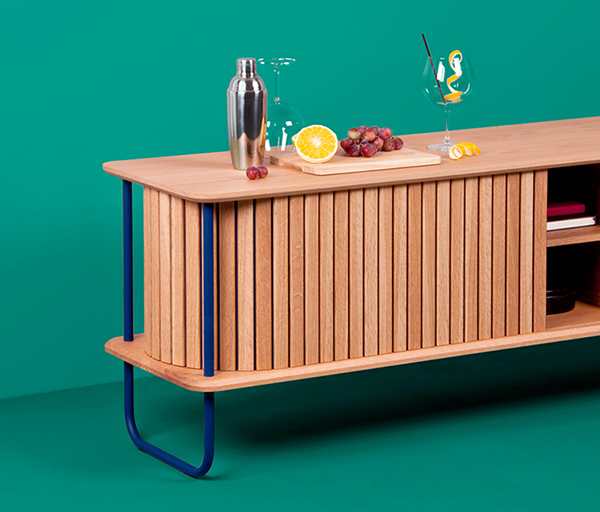 The sideboard looks humble and simple but it has something that makes it very interesting. The combination of wood and the two steel tubes look very contemporary. The last slat of the shutter actually acts as a handle and they won’t go to the sides so you won’t worry about it going to the back part. When closed, the sideboard looks like it doesn’t have an opening at all! It has divisions inside it for easy storage of some stuff. 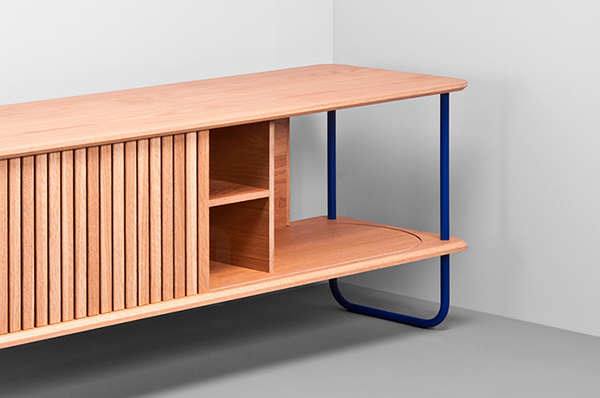 With the tube legs, the sideboard becomes completely open on the sides. 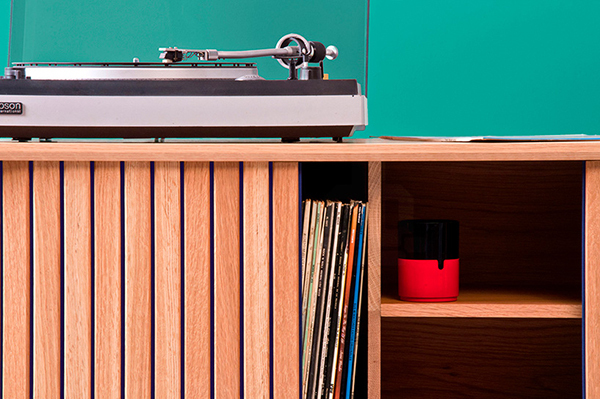 Now this is indeed an interesting design of a sideboard. Well, it is a good thing that you would not worry that the opening will go to the back part or sides of the sideboard because it is well designed for easy opening. I actually think this is fun to use. 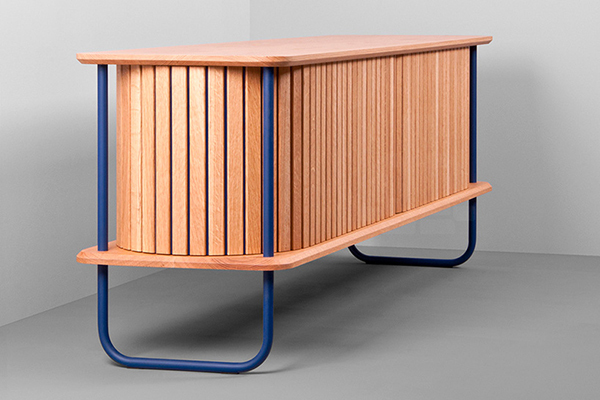 The Loop sideboard is designed by Goula Figuera and Factil and they sure did a good collaboration for this one. Would you get this piece for your home?